The connection between America and its warriors is a strategic relationship and a priority. Soldiers depend on support from home, and the populace depends on soldiers to preserve their freedoms and way of life. This bond between the populace and the military was a priority to Gen. George S. Patton Jr. during combat operations in North Africa and Europe. He recognized that America needs heroes, the military needs support from the American populace, and the local media is the critical link between America and the military. His theory resonates more than 70 years later. After World War I, Patton developed new tactics to employ armored formations. As his armored force grew in capacity and increased its capabilities, the media’s interest increased. His training regimen in Georgia; his mechanized road march from Fort Benning, Ga., to Panama City, Fla.; and his success at the Desert Training Center in California were fodder for the media and consumed by America. 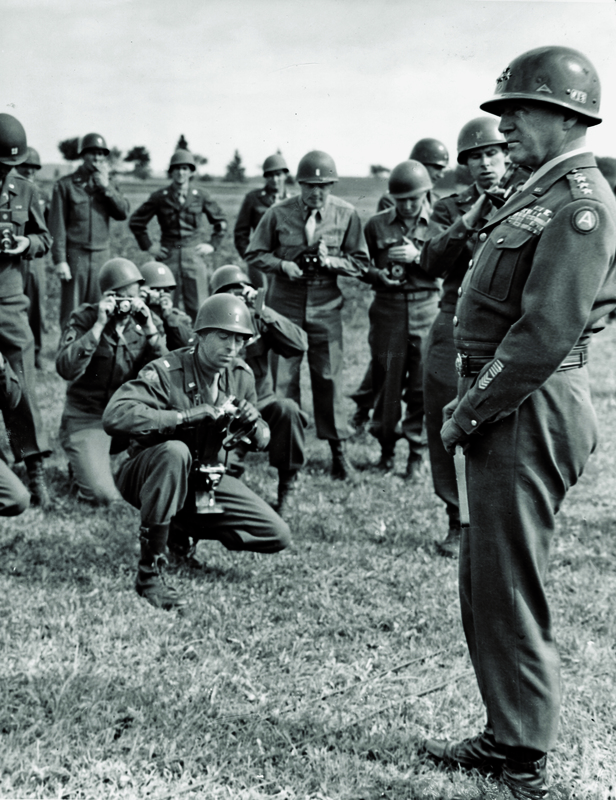 Patton reflected on his experience with the media during his training in the U.S. when his unit paused in North Africa. He accepted the role the media could play to motivate troops. His experiences in World War I, the tense relationship between American and British leaders in World War II, and his assessment of the German forces evoked concern for his subordinates and the long, arduous road they were destined to travel. He knew the battles and the prospect of a high casualty rate would soon fatigue even the most seasoned soldiers. He also recognized the possibility of America disconnecting from the military if the political, social or economic tides began to turn. 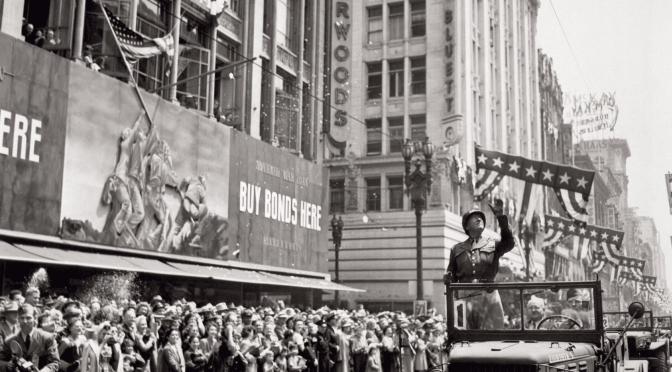 Patton’s concerns during World War II were spot-on, and what he anticipated eventually became a reality: the present-day civil-military gap, a growing misunderstanding and disconnect between the American people and the military. Its presence was most significantly felt during the later years of the Vietnam War, but it remains a topic during national celebrations like Veterans Day or Memorial Day. Both the populace and the military have long been blamed for the gap. Some believe the gap is a result of America’s disinterest in the military because of a fascination with the daily grind, entertainment or other extracurricular activities. Others reason the gap is a byproduct of the insular military community that secludes itself on military installations. The result, regardless of where the fault lies, deprives the U.S. of a healing relationship that renews appreciation for our freedoms. The post-9/11 military operations introduced a new chapter in the civil-military gap discussion. America rallied behind the military by saturating print, broadcast, social and Web-based media with symbols of support. Yellow ribbons, public displays of gratitude at airports and other public venues, and Time magazine’s selection of the American soldier as the “Person of the Year” in 2003 are highlights of America’s backing. The initial support of the military in Iraq and Afghanistan was phenomenal, but as Operations Iraqi Freedom and Enduring Freedom matured and the political climate changed, opposing positions gained a foothold in the national rhetoric. The changing tide darkened the troops’ morale as significant portions of the population began to disassociate from the military and its mission. Despite the growing opposition to war, America continued to honor those killed in combat through media releases and background stories in local media outlets. Local media demonstrated that the populace had a consistent desire for heroism in the midst of the changing political and social climate. Within the context of waning interest in the military, I was given an opportunity to test Patton’s theory. My commander tasked me with developing an outreach plan to motivate our unit and share our story with America. I enlisted the help of a senior first lieutenant on staff and designed a plan to connect our unit to communities outside typical military footprints through the local media. My goal was to embolden soldiers to fight harder while offering Americans an opportunity to celebrate military heroism and better understand our mission. After consulting with our brigade public affairs officer, we selected local outreach opportunities and used my commander to serve as the face of our unit. We began with media hubs in Connecticut, Kentucky, Florida and California specifically because of connections to the battalion. My commander was from New Haven, Conn., and we used that as a connection to that state. We chose the media outlets that serviced our home station—Fort Knox, Ky.—because they primarily reached an audience in metropolitan Louisville, Ky. In addition, we contacted print media outlets in Florida and California along with a private girls’ high school in Maryland after each adopted our unit through a nonprofit organization named Americans Supporting Americans, which coordinates unit adoptions for interested cities, universities, schools and youth sports teams across America. The response was a surprisingly large appetite for more. In Connecticut, there was an editorial written by my commander, a printed interview with my commander about Veterans Day, and a live radio interview on a popular local radio station. The radio interview was particularly touching. After my commander finished the interview, the host went to a commercial break. During the break, the host—on his own accord—contacted and interviewed my commander’s mother and sister for their perspective on his service. The high school and communities in California and Florida displayed an equal level of interest. The high school sent an article for our unit newsletter and shared information from our newsletter with the student body. They also held a drive to send care packages to help boost our morale. Communities in California and Florida held care package parties to stuff boxes full of treats for the soldiers. Editorials by my commander in their local newspapers conveyed our appreciation for their support. The warmest response was from the Louisville media. Although only about 45 minutes from Fort Knox, the community felt disconnected. The print media published three lengthy editorials that highlighted the resilience of our soldiers and their families, our Afghan security partners’ progress, and our appreciation for the community’s support. A local television station aired an interview with my commander featuring a loop of pictures from the deployment on the evening broadcast. Two radio stations played interviews with my commander, one live and one recorded, during the deployment. One of the stations aired a second live interview when my commander redeployed. Both radio stations sent on-air personalities to attend our battalion ball after we returned from deployment. Local America benefited from the connection, but the bond also affected my unit’s morale. 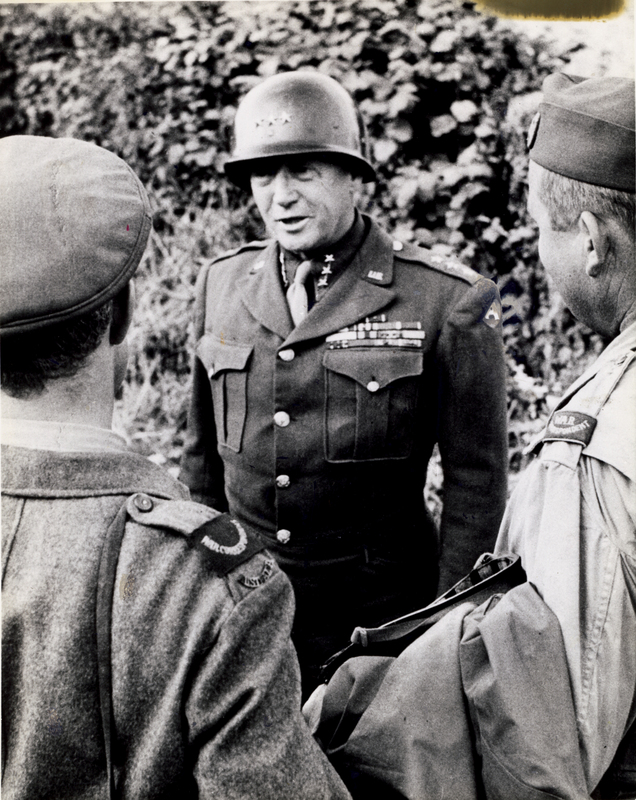 America’s interest and willingness to publicly recognize our soldiers proved a simple “means of stimulating pride and valor in the troops” and caused the soldiers to “fight harder than ever,” as Patton said. As we engaged in the security force assistance mission to train, advise and assist our partnered Afghan army brigade and the province’s police force, the support we received fueled our efforts to strengthen our partners. The experience revealed that our story was best told by us to local audiences that craved a connection to the military. My commander insisted that our story remain focused on our soldiers and families, our partners, and our gratitude for America’s support. When given the opportunity, local America embraced our mission as well as our sacrifices. Maj. Timothy Meadors deployed to Zabul Province, Afghanistan, as the battalion S-3 for 2nd Battalion, 2nd Infantry, 3rd Infantry Brigade Combat Team, 1st Infantry Division. The battalion was assigned the security force assistance mission and partnered with both the Afghan army and Afghan police in the province. Meadors has deployed to Iraq three times and to Afghanistan once.